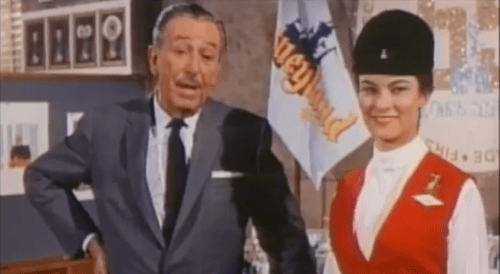 At WED Enterprises, the 1970s were marked with an unmistakable drive of creativity that produced some of the most well known and iconic Disney experiences that still are held dear, today. 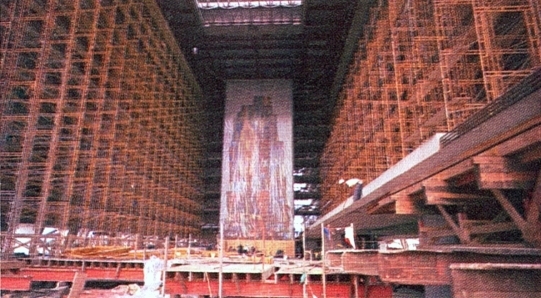 The 1970s were the decade where Walt Disney World opened and Walt Disney Productions put all their efforts towards bringing the fledgling resort up to operational and thematic speed. 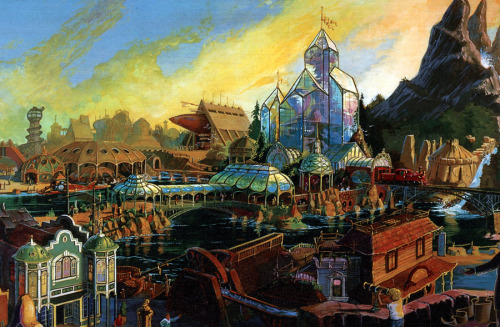 This is also the heady decade in which Disney would finally act upon Walt Disney’s idea for an urban community of tomorrow and produce a theme park, EPCOT Center, out of those ideas and plans. 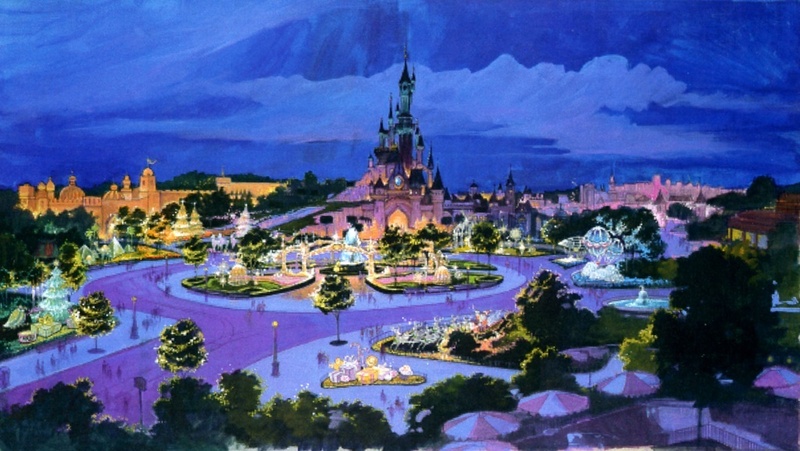 On top of all this, the 70s were also the decade when Disney looked beyond America and saw potential in building magic kingdoms around the world. 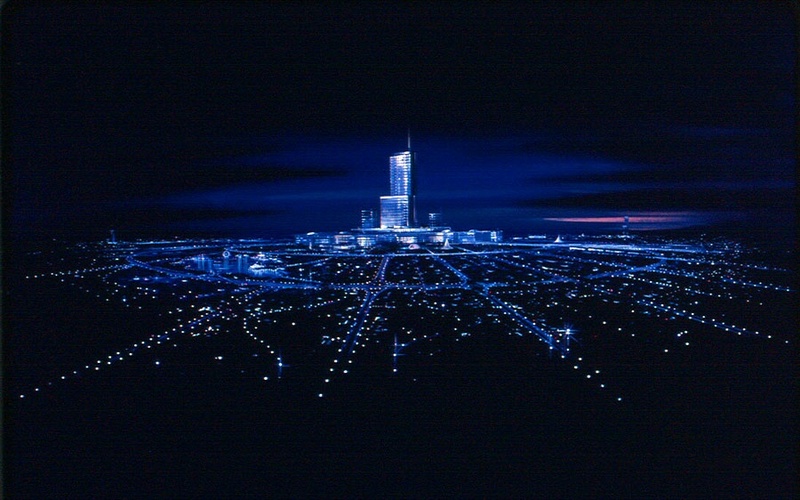 Tokyo Disneyland’s creative nexus came about during EPCOT’s formal creation as a unified theme park (And not a series of satellite theme parks with shared innovative values) and would go on to be a thematic entity based in the best parts of her Floridian and Californian sisters. 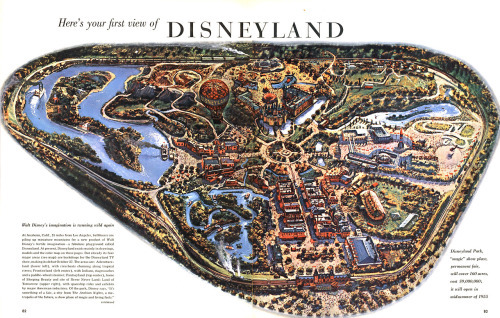 But what of Disneyland, the original Magic Kingdom? 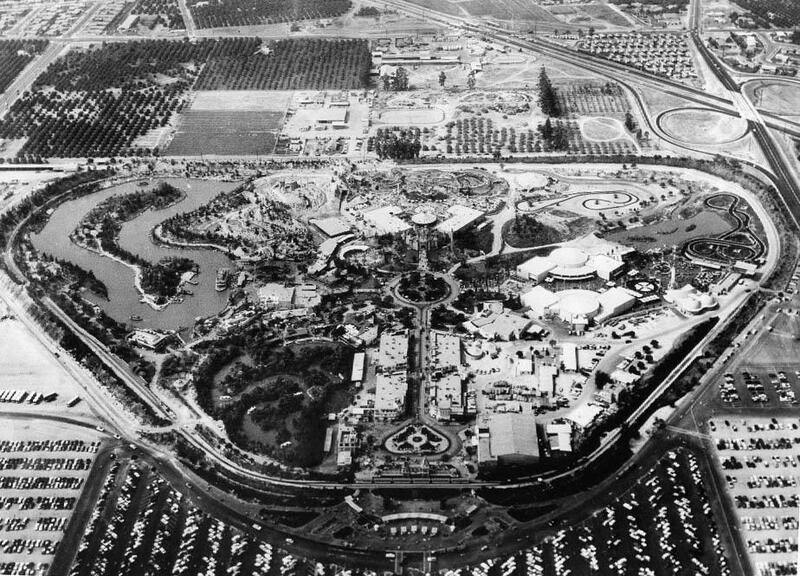 Disneyland, too, was also the product of the driving spirit of WED’s enterprise during the mid 1970s and although what was built was slightly less than all of the plans and ideas fostered for the park, the process is astounding and a hallmark of the breadth of WED’s vision and skill. 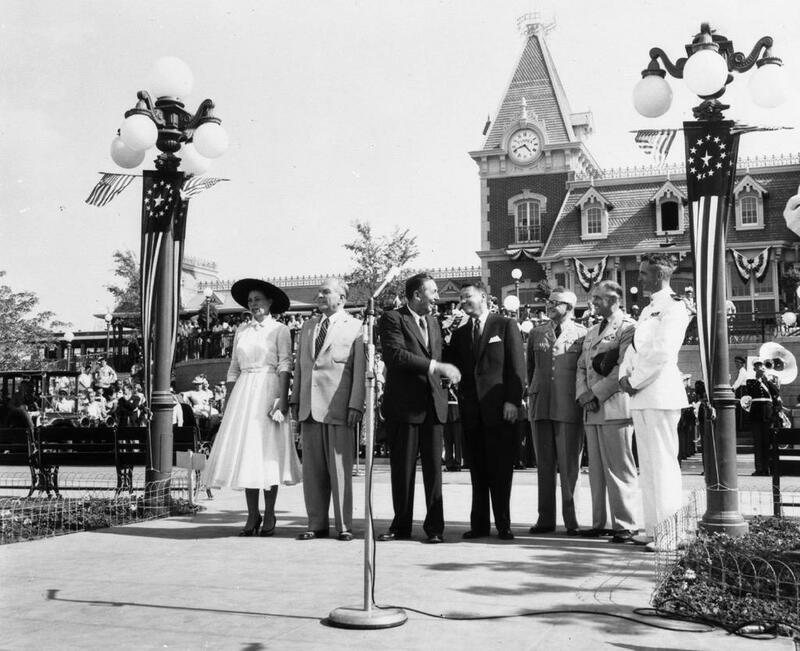 Under closer observation, Tony Baxter was instrumental in the creation of Disneyland’s efforts to expand. 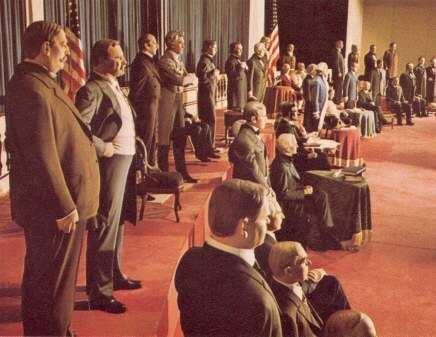 Tony Baxter can be considered a product of WED’s first generation of imagineers. 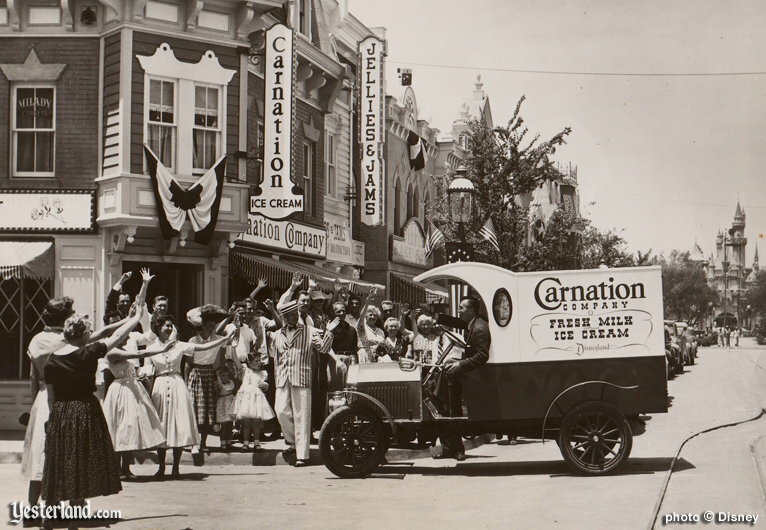 Beginning his career at Disneyland as a front line cast member and working his way into Imagineering, Tony Baxter was lucky enough to be under the tutelage of Claude Coats, Marc Davis, and John Hench and absorbed their pioneering spirit into his own outlook and work at WED Enterprises. This philosophy of early WED’s character is easily seen in Baxter’s ideas for how to expand Disneyland and served as a standard of quality for how he exacted and executed his craft in all his projects. 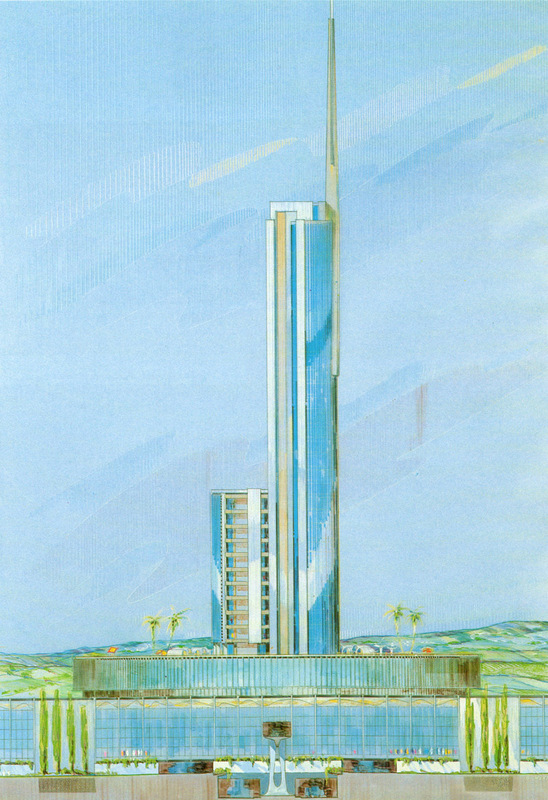 But, for the purpose of today’s article, I would like to delve into three projects. 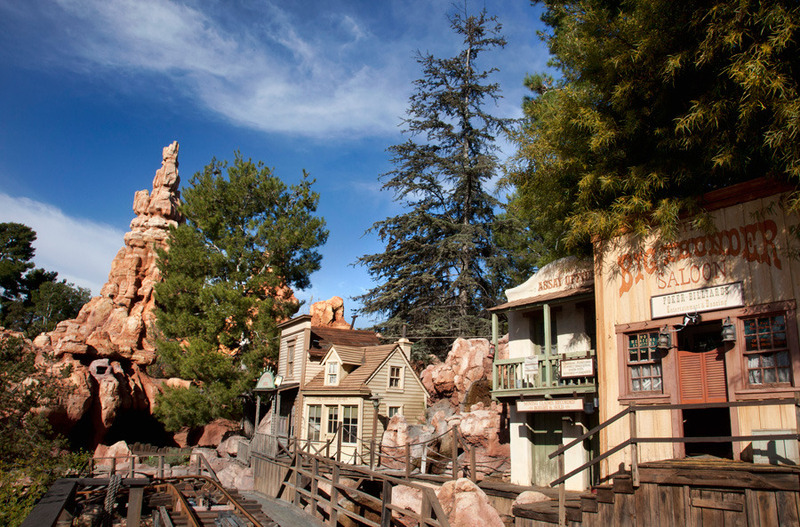 Two that never left the drawing board and one that has been built, cherished, and absorbed into the pantheon of Disney’s brand of experiences and attractions: Discovery Bay, Dumbo’s Circusland, and finally, Big Thunder Mountain Railroad. Sometimes, when writing and researching you come upon a group of interesting things and have no idea what do do with them, as they are just implicit pieces of a whole body of study. Although that sounds frightfully academic, this even happens in researching something fun, like EPCOT Center and Walt Disney Productions. So… I proudly present: Minutia! 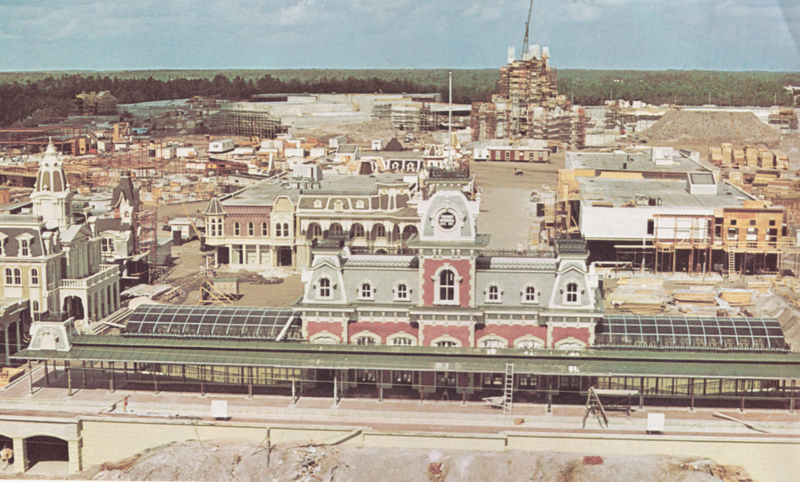 From EPCOT Center’s formative years and construction! Hooray! Walt Disney World is a business, there’s no denying it. 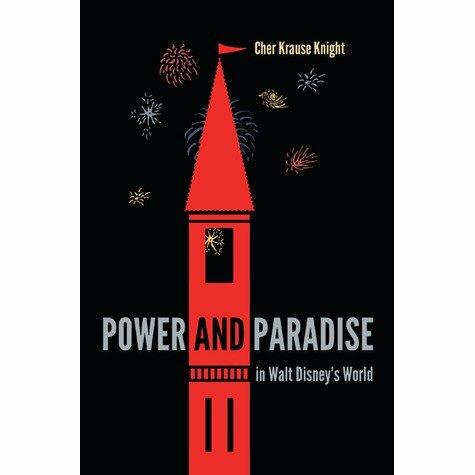 The place exists to be profitable, to be lucrative, and to keep the Walt Disney Company, as a whole, afloat. And, thankfully, WDW does all these things quite well. But despite a spartan purpose, the hallmark of the Vacation Kingdom, or any enterprise of Disney’s, is to be artful and academic. Yes, the purpose is rooted in profit, but the prose used to get to that point can be meaningful, surprising, and rich in character. One of the oldest features of Disney World are her tile murals, and they are all of these things. I originally wrote this piece in August of 2013 after I returned from Disneyland for the first time. 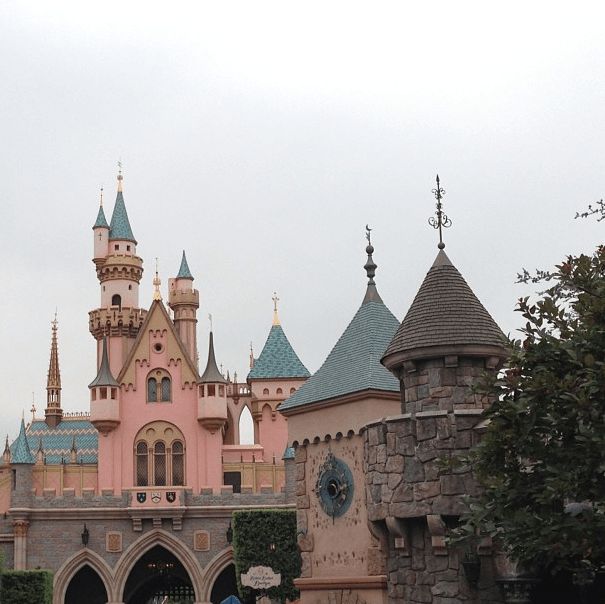 Enamored and captivated with Walt Disney’s Magic Kingdom, I wrote this essay hoping to explain what makes Disneyland so special and what I had found interesting. Enjoy! 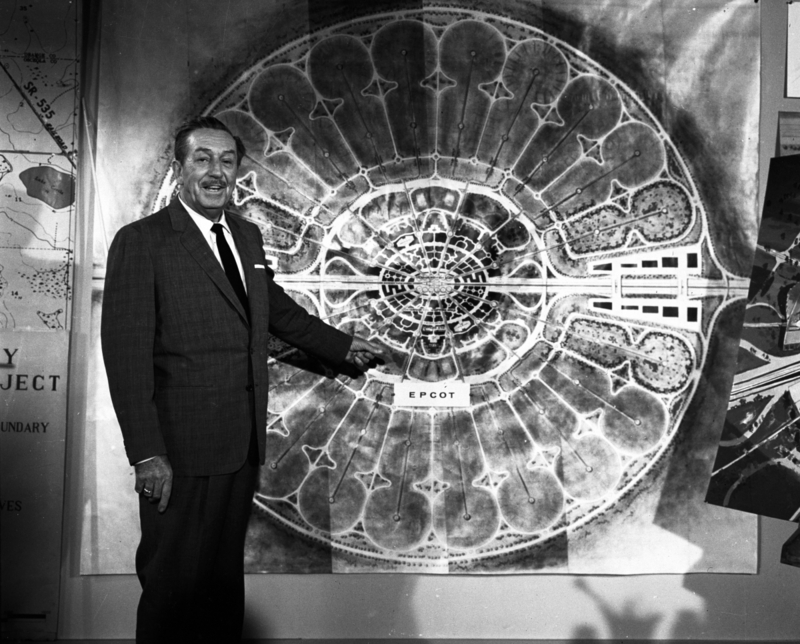 — Walt Disney and Ms. Disneyland Tencennial, Julie Rheim, discussing Disneyland’s forthcoming Pirates of the Caribbean attraction, 1965. For almost all of my life, I’ve been a fan of Disney. Mickey Mouse presided over my first birthday. Childhood birthday gifts and holiday tidings usually brought a Disney film on VHS. And since the ripe old age of two, my family and I have spent time in the Vacation Kingdom of the World, happily just 230 miles up Florida’s turnpike and the perfect distance away to still be a satisfying and enchanting weekend escape that maintained the mystery of a far away destination, but close enough to capture my attention and establish a sense of familiarity that makes a return to WDW so comforting. That is the real crux of my involvement in Disney. Disney World was the physical manifestation of the incredible feeling and mood and happiness that Disney, as a whole, brought. EPCOT Center dominated the formative years of my interest and is still the cornerstone of my ongoing proclivity for themed design and Disney history. EPCOT provided a linkage to how the real world worked. 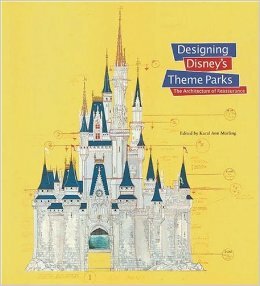 Its optimistic drive and broad creative aims inspired an understanding in not only the exhibitive aims of the park but in how Disney used technology and art to convey a message and create an environment. Enjoyment and appreciation of EPCOT, funnily enough, broadened interest in the rest of the Disney world and the Magic Kingdom. In an attempt in getting me excited (was that even really needed?!) 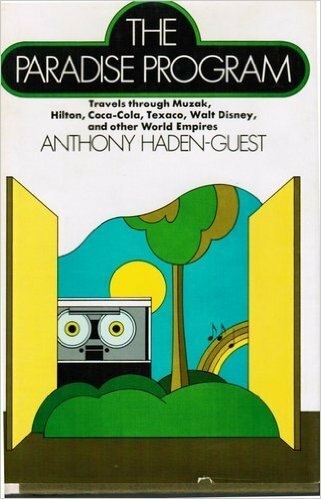 for one of our earliest trips to WDW, my parents bought me a ‘Disneyland Fun’ VHS so as to familiarize me with what we would soon be visiting. 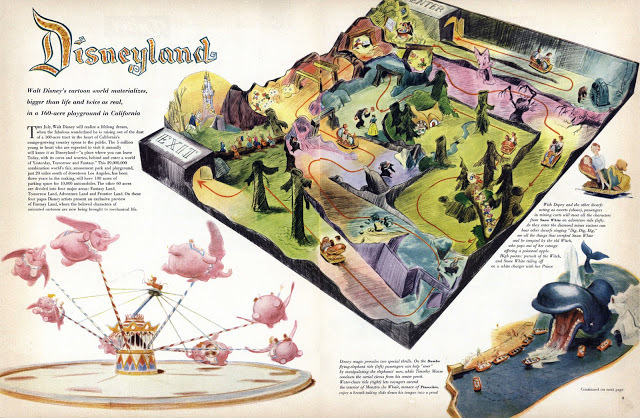 Although for a park a continent away, the familiar visuals and localities on screen did their job and ‘Disneyland Fun’ became my mental image of the Florida property, despite glaring differences. That’s not our castle. Our Haunted Mansion looks scarier. We don’t have Star Tours in Tomorrowland, that’s over in MGM! And where is EPCOT!? And so, I was aware of “the other”. There was an other Magic Kingdom out there. 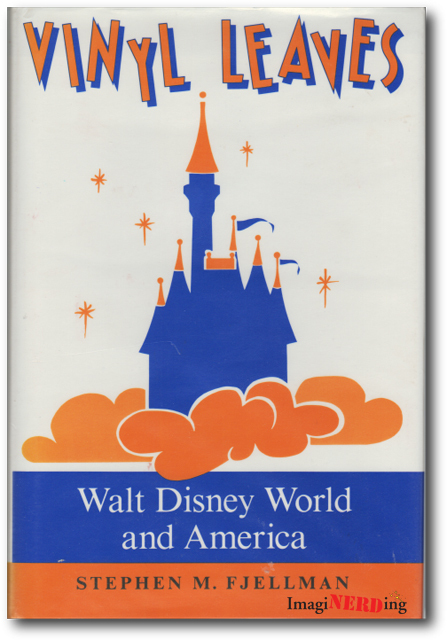 One that was seemingly older, had more in it, and yes, lacked an EPCOT. Despite that “flaw”, I was interested. 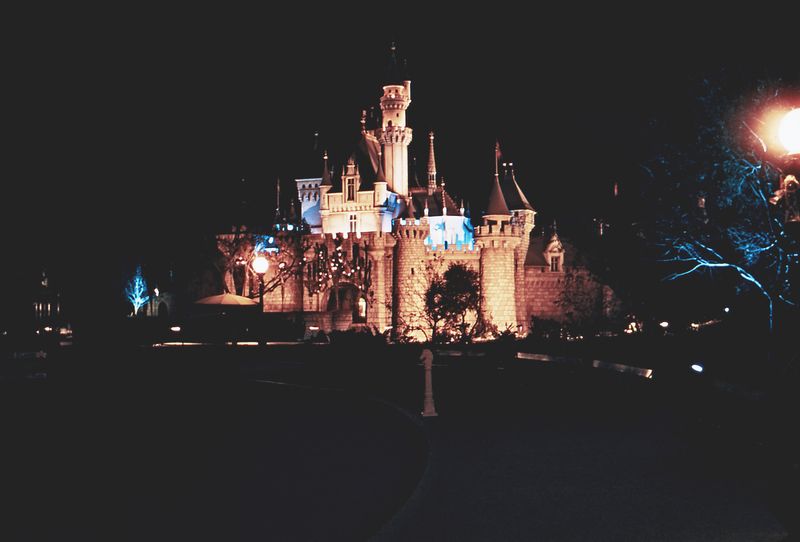 And as I got older and learned more about Disney World, so came knowledge of Disneyland. 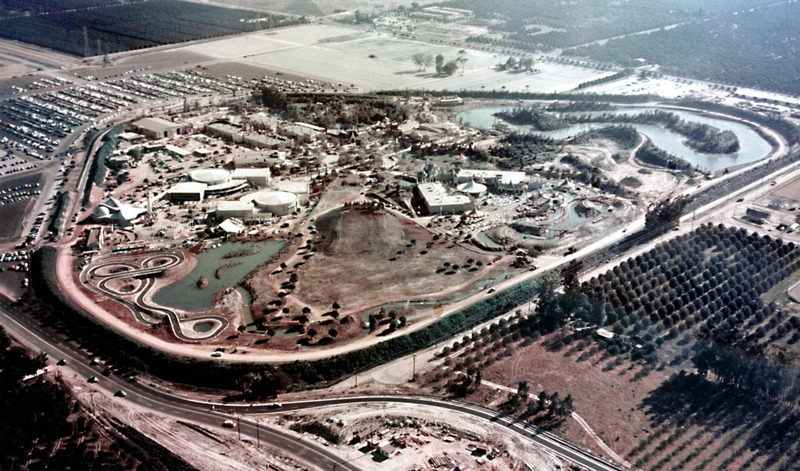 Here was Walt Disney’s original park…. 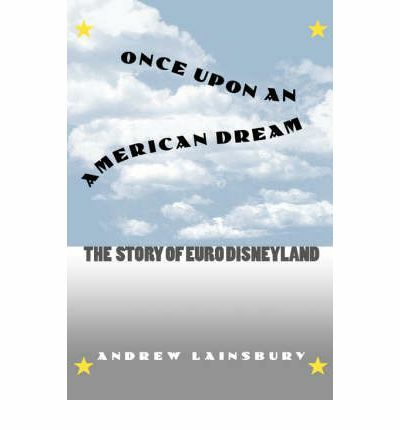 While Disney World captured my immediate attention for research and, ultimately, this entire blog, Disneyland was always revered, in my mind, as the gold standard for history and the park that set down the precedence for what thematic entities followed. 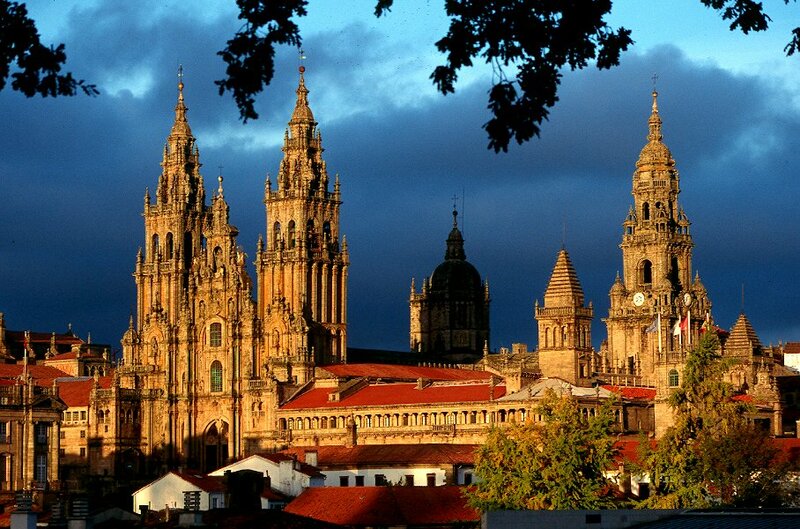 Of course, with that, came a desire to visit. Florida, sadly, is very far away from California. My family and I have always been very lucky when it comes to traveling and we have seen much of the east coast. While always an event to plan around, a vacation up to New York City or Washington DC was always more economical and feasible than an odyssey out west. Being from a family of teachers, and a student of history myself, who can complain when your destinations take you the very epicenter of what you study? 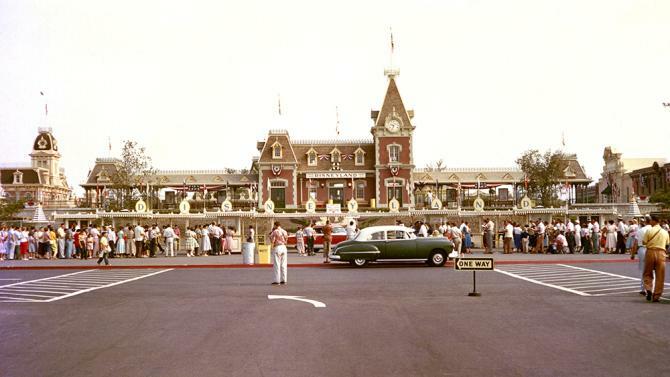 And with Disney World just within reach for an easy getaway, Disneyland was really a world away. 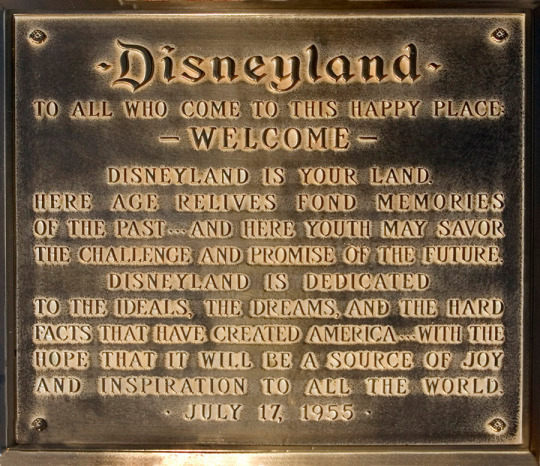 Happily, however, my chance to aim for Disneyland came earlier this year…. And as evidenced by this writing, I made it after almost twenty years of waiting and wondering. 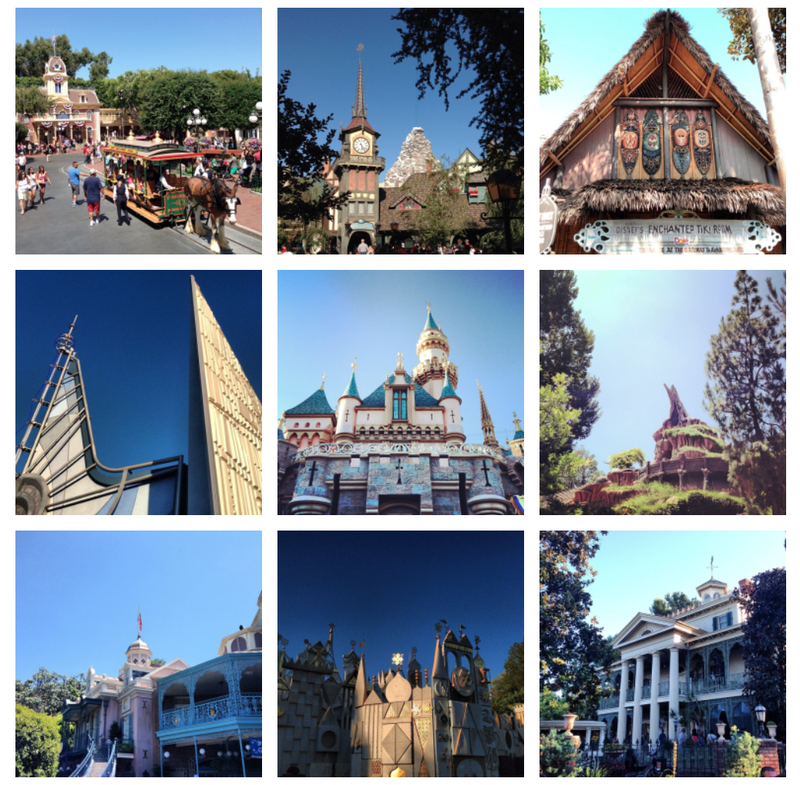 What follows, and what this entire post is meant to be, is a reflection of Disneyland, as seen through the eyes of someone who grew up entrenched by Disney World, or, frankly, any other Disney park. 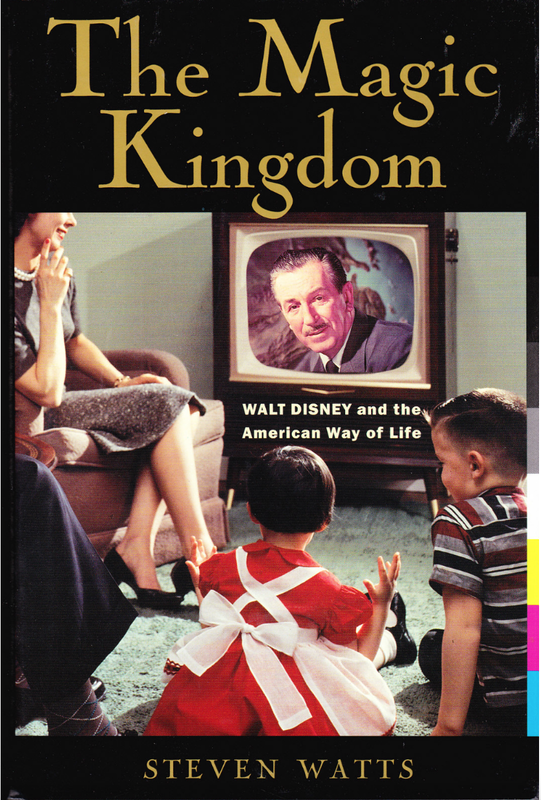 This is not history; this is going to be an opinionated thematic analysis of Walt Disney’s original Magic Kingdom as seen by someone for the first time. 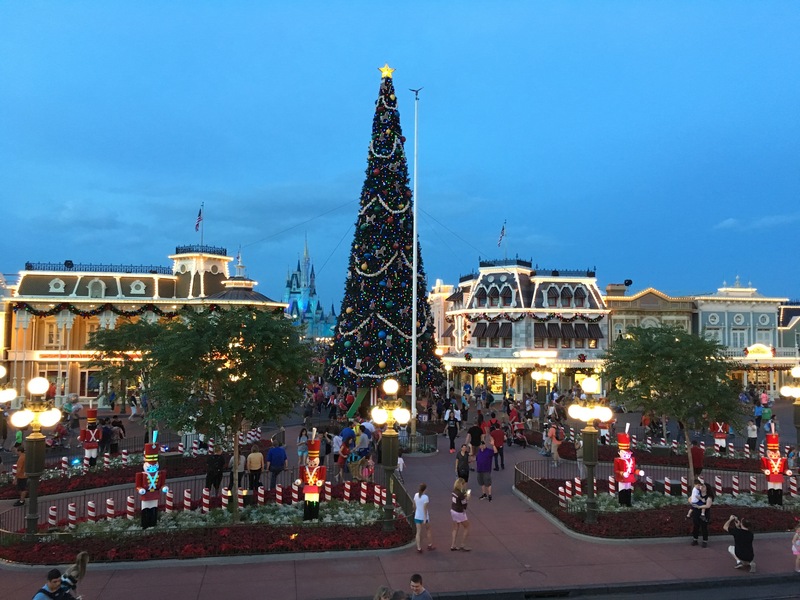 If you’re in search of an apt example of the thematic differences between Walt Disney World and Disneyland, comparing their shared attractions, aesthetics, and themes is usually the quickest way to the core of the question. Pirates of the Caribbean, The Haunted Mansion, Space Mountain, and many other attractions can be found at both parks, yet each entity is vastly different from its sibling. All of these attractions aim to entertain and exhibit a themed show but do so by playing by different rules and employing different methods. 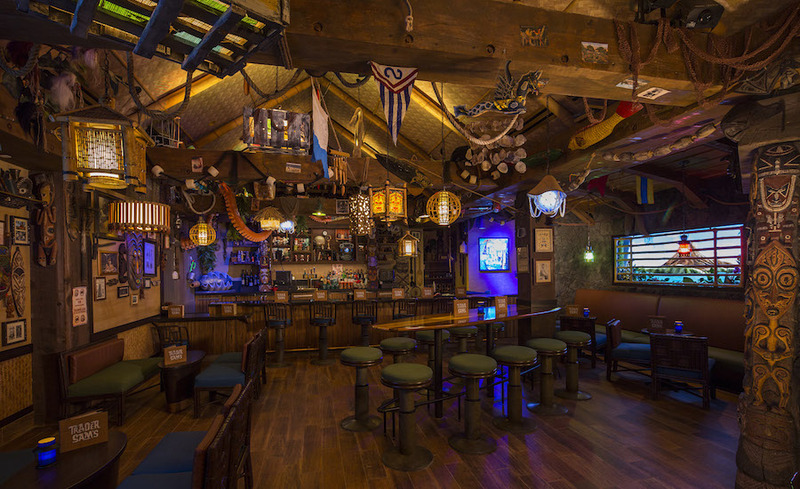 Now that Imagineering has built two Trader Sam’s, this analogy is all the more deepened by the similarities and differences forged between Trader Sam’s Grog Grotto in Walt Disney World and Trader Sam’s Enchanted Tiki Bar in Disneyland. Exploring these variances and the different methodologies between the two Tiki bars illustrates the subtlety and artistry in each. Imagineering has gotten lightning to strike twice; where Disneyland’s Trader Sam’s was an apt reflection of American Tiki culture and its resurgence, Grog Grotto undergirds Tiki culture’s place in the current pop culture psyche and Walt Disney World’s connections to it. Although in The Polynesian Village Resort, Trader Sam’s Grog Grotto is just as much of an artful and subtle attraction as anything found within The Magic Kingdom or Disneyland. It’s about time, isn’t it? I’ve been blogging for about 4 years now on Tumblr, but I think the time is nigh for a new, more streamlined, and more professional space. 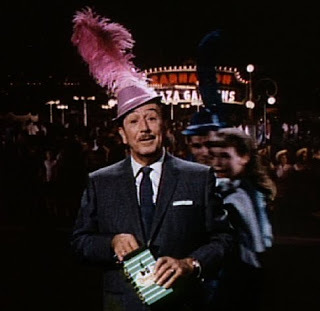 The nature of my articles and essays won’t change- I’ll still be delving into the minutia and thematic history of Walt Disney Productions, the World’s Fairs, and Tiki Culture. My first (new) post will go live on this new blog tonight, and in the coming weeks and months, I’ll migrate some of my older essays onto this website.